I watched an old motorcycle flick from the 1960s the other night, and I was struck by the bikers' slang. They had a language all their own. Just like statisticians, whose manner of speaking often confounds those who aren't hep to the lingo of data analysis. It got me thinking...what if there were an all-statistician biker gang? Call them the Nulls Angels. Imagine them in their colors, tearing across the countryside, analyzing data and asking the people they encounter on the road about whether they "fail to reject the null hypothesis." If you point out how strange that phrase sounds, the Nulls Angels will know you're not cool...and not very aware of statistics. Speaking purely as an editor, I acknowledge that "failing to reject the null hypothesis" is cringe-worthy. "Failing to reject" seems like an overly complicated equivalent to accept. At minimum, it's clunky phrasing. But it turns out those rough-and-ready statisticians in the Nulls Angels have good reason to talk like that. From a statistical perspective, it's undeniably accurate—and replacing "failure to reject" with "accept" would just be wrong. What Is the Null Hypothesis, Anyway? A hypothesis test examines two propositions: the null hypothesis (or H0 for short), and the alternative (H1). The alternative hypothesis is what we hope to support. We presume that the null hypothesis is true, unless the data provide sufficient evidence that it is not. You've heard the phrase "Innocent until proven guilty." That means the defendant's innocence is taken for granted until guilt is proved. In statistics, the null hypothesis is taken for granted until the alternative is proved true. So Why Do We "Fail to Reject" the Null Hypothesis? That brings up the issue of "proof." Reject the null hypothesis and conclude that the alternative hypothesis is true at the 95% confidence level (or whatever level you've selected). Fail to reject the null hypothesis and conclude that not enough evidence is available to suggest the null is false at the 95% confidence level. We often use a p-value to decide if the data support the null hypothesis or not. If the test's p-value is less than our selected alpha level, we reject the null. Or, as statisticians say "When the p-value's low, the null must go." This still doesn't explain why a statistician won't "accept the null hypothesis." Here's the bottom line: failing to reject the null hypothesis does not prove the null hypothesis is true. That's because a hypothesis test does not determine which hypothesis is true, or even which is most likely: it only assesses whether evidence exists to reject the null hypothesis. Hark back to "innocent until proven guilty." As the data analyst, you are the judge. 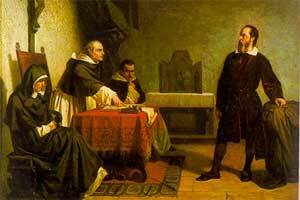 The hypothesis test is the trial, and the null hypothesis is the defendant. The alternative hypothesis is the prosecution, which needs to make its case beyond a reasonable doubt (say, with 95% certainty). If the trial evidence does not show the defendant is guilty, neither has it proved that the defendant is innocent. However, based on the available evidence, you can't reject that possibility. So how would you announce your verdict? That phrase is perfect: "Not guilty"doesn't say the defendant is innocent, because that has not been proved. It just says the prosecution couldn't convince the judge to abandon the assumption of innocence. So "failure to reject the null" is the statistical equivalent of "not guilty." In a trial, the burden of proof falls to the prosecution. When analyzing data, the entire burden of proof falls to your sample data. "Not guilty" does not mean "innocent," and "failing to reject" the null hypothesis is quite distinct from "accepting" it. 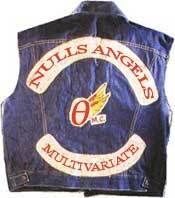 So if a group of marauding statisticians in their Nulls Angels leathers ever asks, keep yourself in their good graces, and show that you know "failing to reject the null" is not "accepting the null."